Assiniboia Hall was built in 1912. 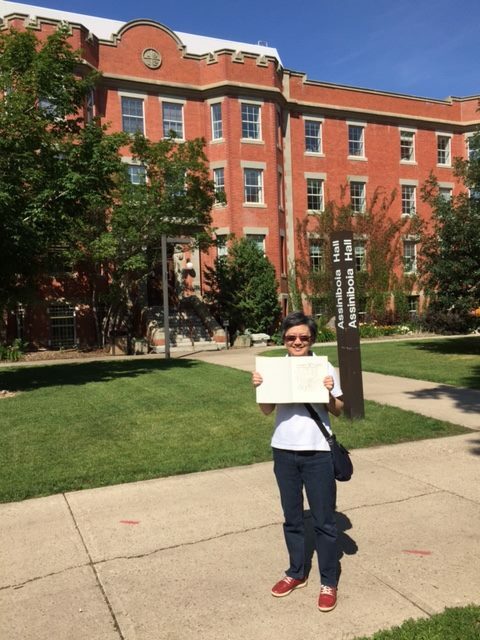 It is one of the 3 oldest buildings on the campus of the University of Alberta, Edmonton (Athabasca and Pembina Halls next door being the other two). All three were built in the Collegiate Gothic style. 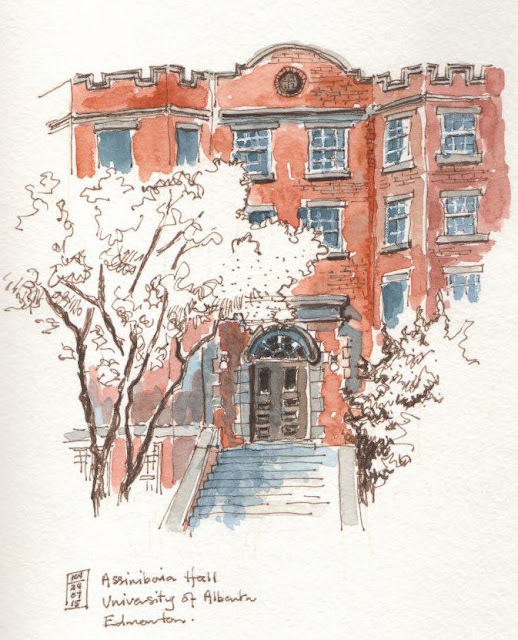 It was formerly a student dorm but now houses faculty offices. This building has particular significance as my spouse has had his office in this building for the past 13 years. 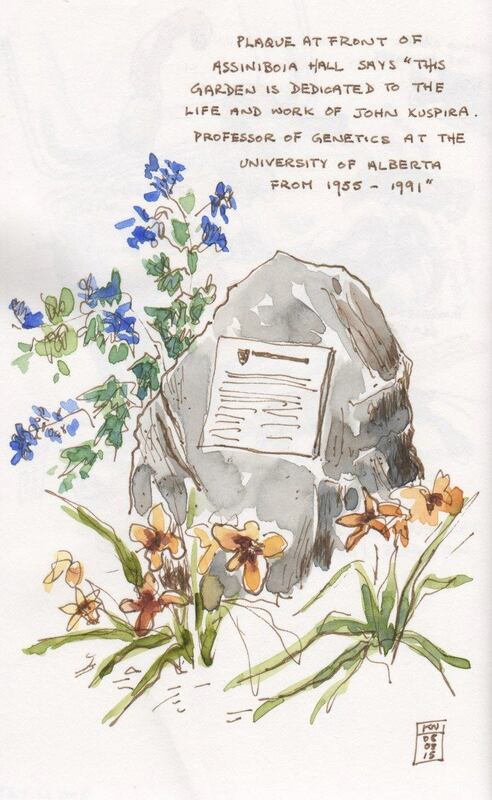 Below is a plaque to John Kuspira outside Assiniboia Hall, University of Alberta. I did this sketch one Saturday recently while he was working on the (mammoth) task of clearing out his office. Dare I say even I felt a tinge of sadness that day.